We had a word with Will Potter from Shiiine On perennials CUD , ahead of their upcoming “Only The Good Ones“ tour and a much welcome return to this year’s Shiiine On Weekender.. In the high times of the 90s we, like most bands, only toured to promote a new album. While a new album is on the horizon, we have to think up other excuses to go on the road each year. The ‘New T-Shirt and Mug’ Tour just doesn’t cut it. We’ve done whole-album shows. We played all 20 of our singles last year. And this year, we thought, sod it. Why don’t we just play our best songs! Cud at Shiiine has become a bit a fixture now there has been some great moments – I guess you enjoy playing it? I personally enjoyed the set on the boat to Amsterdam, it was a great night! The Shiiine boat trip was brilliant. Mixing with the audience and other bands from deck to deck, the day trip to Rotterdam/Amsterdam, food, atmosphere, everything was really well laid on and great fun to partake in. This year will be our 4th Shiiine Minehead Weekender and it’s always a pleasure. Always a great, up-for-it crowd. Mind you, we’re kind of glad not to be playing the 1am slot again. This time we can relax and watch some of the other great bands after our performance. Can you give us some background to the Black Crown Quarterly: Rich And Strange concept – Cud in comic book form? Shelly Bond, the boss of Black Crown had been convinced of the merits of CUD by her spouse, artist Philip Bond (who we’ve known since the Deadline days in the early 90s). She got in touch, wanting us to write something for her anthology title and I pitched the idea of Rich and Strange as The Monkees meet One Flew Over The Cuckoos Nest. I thought to have fun with the idea of older, no wiser, indie bands reforming by having me and Carl incarcerated in a high-security home for retired bands, trying to escape and reform amid flashbacks to our heyday. Shelly loved the idea, and persuaded the amazing Philip to draw it. I still pinch myself that it exists. The last part was published in issue #4 this month, and the whole 21-page sage is going to be included in a Black Crown Omnibus in November. I recently had a listen back to some of the Cud Peel Sessions, 3 in total I think? They must have been a great thing to do looking back? For sure, we wouldn’t have got anywhere outside Leeds without those Peel sessions. Pre-internet, it was the only forum to reach listeners outside your base. And the engineers could work magic in less than a day. I thought we’d made it with our first Peel session. We had to come up with new ambitions. Happy to be part of that Peel session legacy, We owe such a debt to Johns Peel and Walters. New Cud music – Is there anything in the pipeline or planned for the future? What would a Cud members “Only The Good Ones” personal choices be on the set list? I agree with a lot of the fan picks for the shows, because the songs are fun to play and get a great response – tunes like Robinson Crusoe, Purple Love Balloon and I’ve Had it with Blondes, but I’d also pick some lesser-known tracks Brain on a Slow Train, Ariel, The Mystery Deepens, Superstar, Make No Bones. Oh, and I’d pick a bunch of new ones you can’t hear yet! 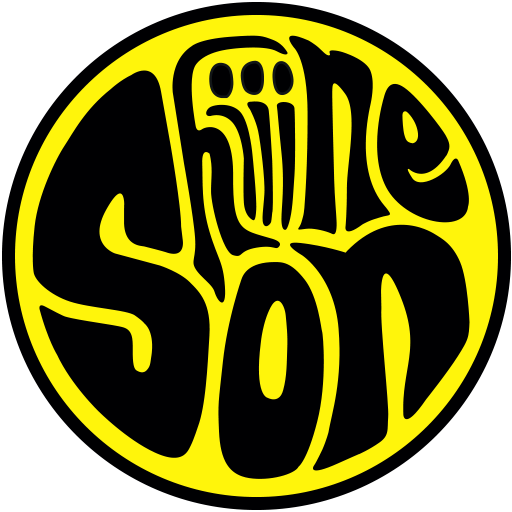 Cud play the Main Stage at Shiiine on Saturday 17TH November 2018.